Frittatas are great because they can be served for any meal and are delicious whether served warm or at room temperature. 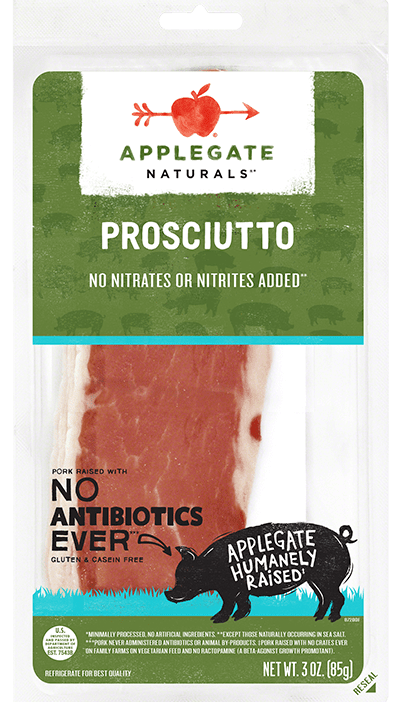 This Whole30 -compliant version gets its bright savor from plenty of herbs and Applegate Naturals® Prosciutto. Tearing the prosciutto into large pieces is both easier than chopping it and gives a very pretty result. Heat the oil in an 8- or 9-inch cast-iron or nonstick skillet over medium-high heat, swirling it so it coats the entire inside surface of the skillet. Add the prosciutto and scallions and cook, stirring occasionally, until wilted, 1 to 2 minutes. Meanwhile, whisk together the eggs, the herbs and ¼ teaspoon each salt and pepper. Pour the egg mixture into the skillet, making sure the prosciutto and scallions are evenly distributed. Transfer the skillet to the oven and bake the frittata until puffed and cooked through, about 15 minutes.